Tips for Researchers: What’s in a (Street) Name? I love a reference challenge, but it’s also gratifying to get a question and be able to give the asker the answer almost immediately. Though when we archivists do this it may seem like magic, most of the time it’s just knowing where to look and to what resources to point people. My time in the Cambridge Room is helping me immensely when it comes to performing this parlor trick with Cambridge-related queries. For example, do you ever walk down a street in Cambridge and wonder for what or for whom it was named? 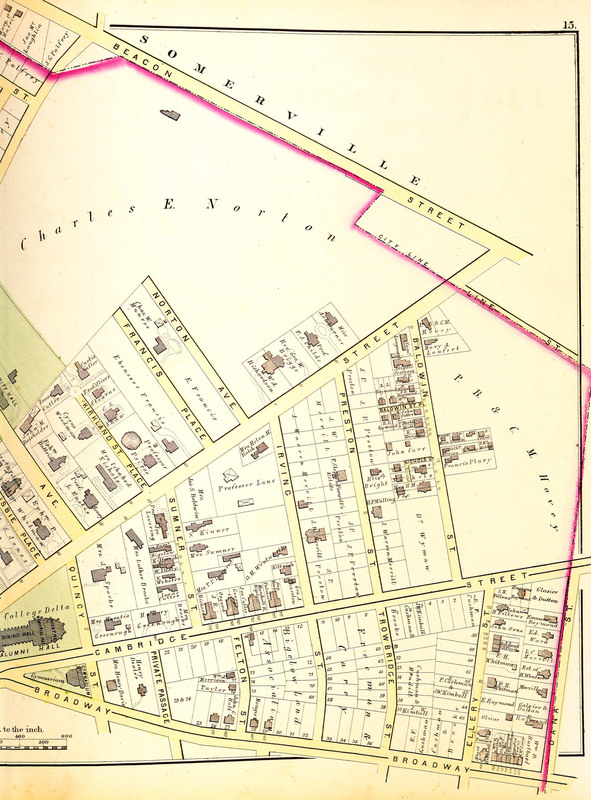 The Cambridge Historical Commission has you covered with their comprehensive list of the origins of Cambridge Street Names. If your wonderings/wanderings take you further and you want to know about a particular address, the myCambridge database about which Alyssa told you in an earlier post and the database of Cambridge Buildings and Architects maintained through Harvard are great resources for delving a bit more deeply into the history of Cambridge addresses from the comfort of your computer or mobile device. And if you’re of an analytical bent, there’s a fun set of maps over on Bostonography based on the latter that provide a visualization of the types of Cambridge street names and where they are in the city. So you’ve found the namesake for your street – where next? If you’re really lucky, your street is named after someone well-known enough to have his or her own Wikipedia page, or has a sufficiently unusual name to be easily Google-able. Though you’ll have to vet the results for yourself, the resources you uncover are a great place to start and can lead you down many fascinating paths. You may also want to check WorldCat, to see what relevant material has been cataloged at libraries around the world, and ArchiveGrid, for material in archival repositories. If your person is a pre-20th century Cambridge celebrity, the Proceedings of the Cambridge Historical Society, which the Society has put online, can be really helpful; check the index for references in papers published between 1905 and 1979. And if you’re stumped, how about contacting your friendly local archivist and giving her or him a shot at it? Like I said, we love a challenge. It’s always very satisfying when people contact us to donate items that fill in gaps in our collections or enrich already rich materials. After our post about Salvatore Valente a few weeks ago, our friends at the City of Cambridge’s Veterans’ Services Department brought us two items previously in their offices that are especially appropriate for the Cambridge Room. One was a replacement Purple Heart for Salvatore Valente, which we’ve added to our small Valente collection. 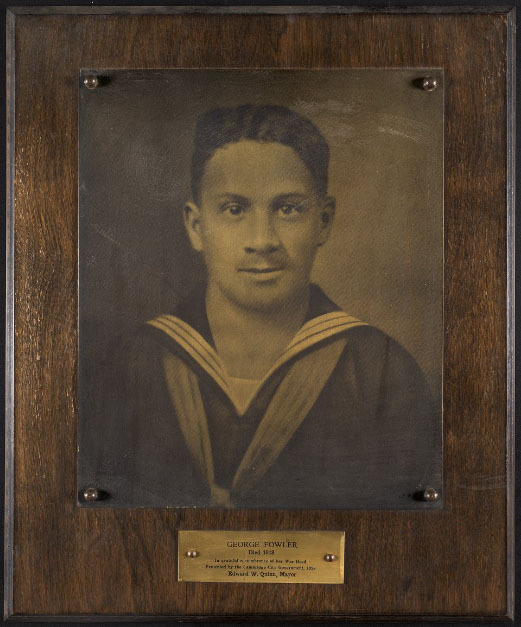 The other was a wooden plaque that clearly belongs with our wonderful World War I memorial plaques collection, recently digitized and available through Digital Commonwealth. William J. White from Cambridge, died in World War I, 1918. 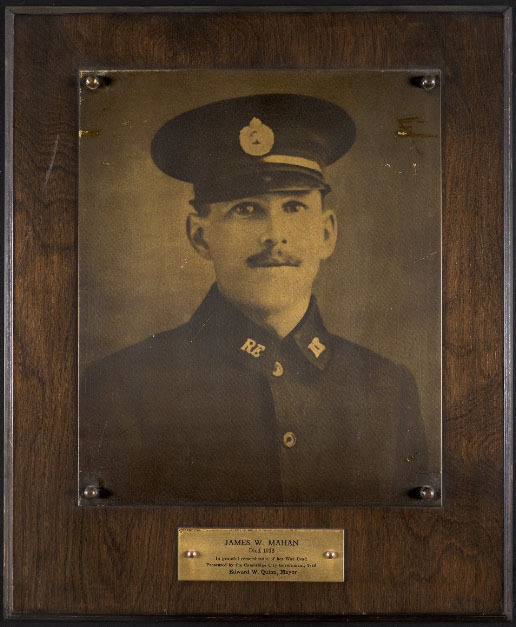 William J. White’s plaque will join its comrades online eventually, but for now you can read more about him in this account of his memorial service from the Cambridge Tribune, June 22, 1918. While some of what we have here in the Cambridge Room relates to the more distant past, we also collect contemporary archival materials to support out mission to document the many facets of the culture and history of Cambridge. I’ve been processing a number of the more recent additions to the collection, and it’s been enlightening to learn more about what was happening in Cambridge during periods that I lived through and remember well in other contexts. One of these collections is the Sheli Wortis papers. Now retired, Wortis had a long career as an early childhood educator and educational administrator with the Cambridge Public Schools. She was particularly involved in ensuring that diverse viewpoints were incorporated into the Schools’ curricula and programs through her work with the Multicultural Coordinating Committee and Early Childhood Connections. She has also been active in many local causes and groups, and her papers are a rich source of information on some of the progressive organizations that have flourished in Cambridge from the 1970s to the present. One of these was the Working Committee for the Cambridge Rainbow, later known as Cambridge Rainbow. 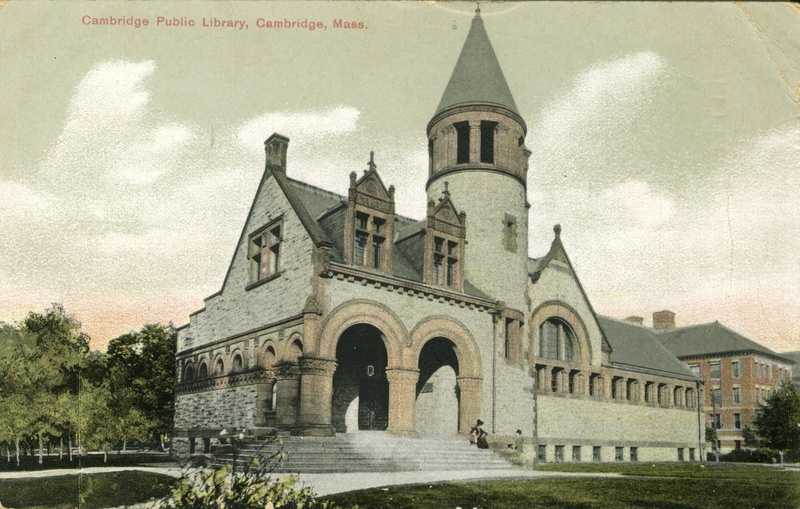 It began in late 1988 as a series of informal meetings – originally just called “the Saturday group on Cambridge politics” – among friends discussing concerns they had about the political and cultural direction of the city. It soon grew into a strong progressive political action committee that was a force in Cambridge politics for a number of years. 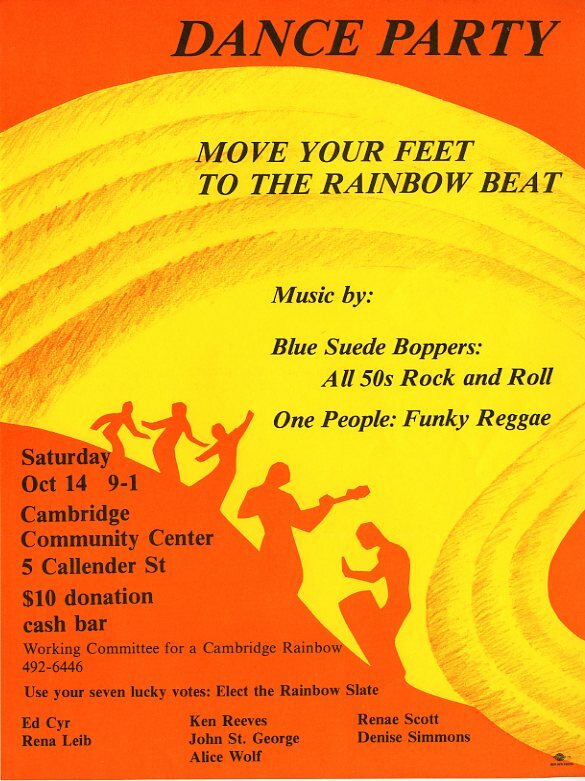 The Rainbow’s concerns included affordable housing, racial justice, and human rights and it backed a number of candidates who gained election to the Cambridge City Council or School Committee from the late 1980s through the 1990s. Several of their candidates were elected mayor of Cambridge, and one, E. Denise Simmons, is still on the City Council today. You may recognize a number of the names from the 1989 slate on this flyer advertising a benefit dance party held at the Cambridge Community Center, including former mayors Alice Wolf and Kenneth Reeves, and former mayor and current City Councilor E. Denise Simmons. Trip to Castle Island, 1915, from the East End Union Collection (023) , Cambridge Public Library Archives and Special Collections. Cambridge’s East End Union is one of the oldest settlement houses in the Boston area. The East End Union, founded in 1875, promoted outdoor activities like Fresh Air Week where their members – most of whom were recent immigrants – could take a respite from city living and working to enjoy the country. Picnics were held in Newton (then considered rural) as were outings to Castle Island in Boston. 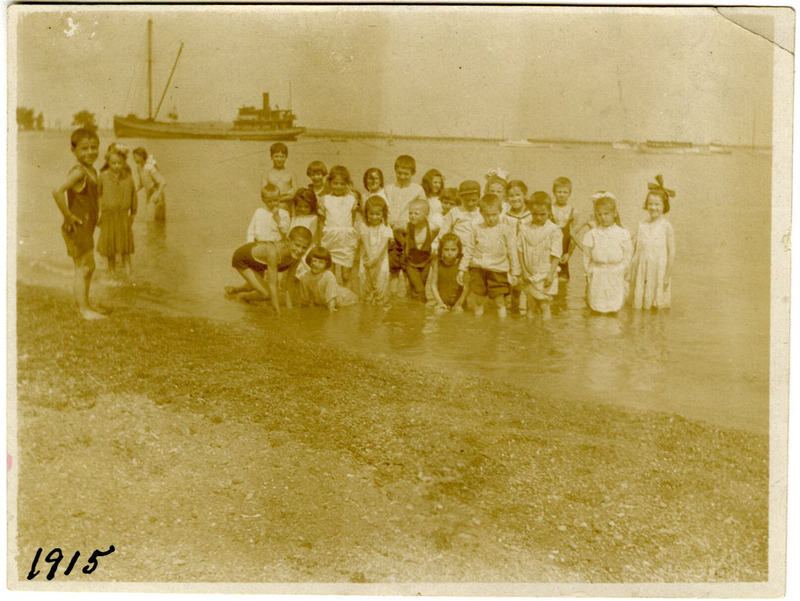 The photo above features some of the East End Union’s younger members enjoying an afternoon at the beach. The East End Union is now called the East End House and is still very active in Cambridge. George Fowler, from Cambridge, died in World War I, 1918. The Cambridge Room in collaboration with Digital Commonwealth has digitized and made available a collection of memorial plaques depicting World War I soldiers from Cambridge who died. The plaques were dedicated in 1928 by Edward W. Quinn, Mayor (1918-1929) and put on display in the War Memorial Athletic Facility in Cambridge, Mass. Each plaque bears an image of the solider on a copper alloy plate, a name plate (also copper alloy), the date of the year s/he died, and the following text: “In grateful remembrance of her War Dead, Presented by the Cambridge City Government, 1928, Edward W. Quinn, Mayor.” A memorial plaque to the soldiers was dedicated on May 30, 1936, by Edward W. Quinn and John D. Lynch, Mayor (1936-1937). The plaques were made by Imperishable Arts, Inc. in New York City. Also included with the collection is a temporary charter granted by the American Legion under Enos Sawyer on June 10, 1919. Search the Cambridge World War I Memorial Plaques here. 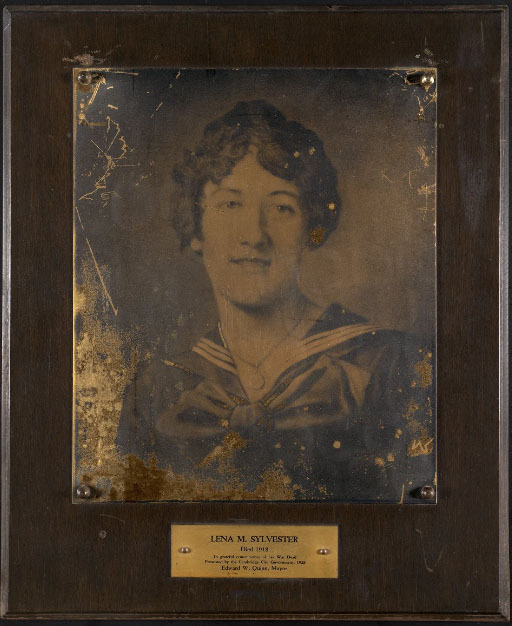 Lena M. Sylvester, from Cambridge, died in World War I, 1918. 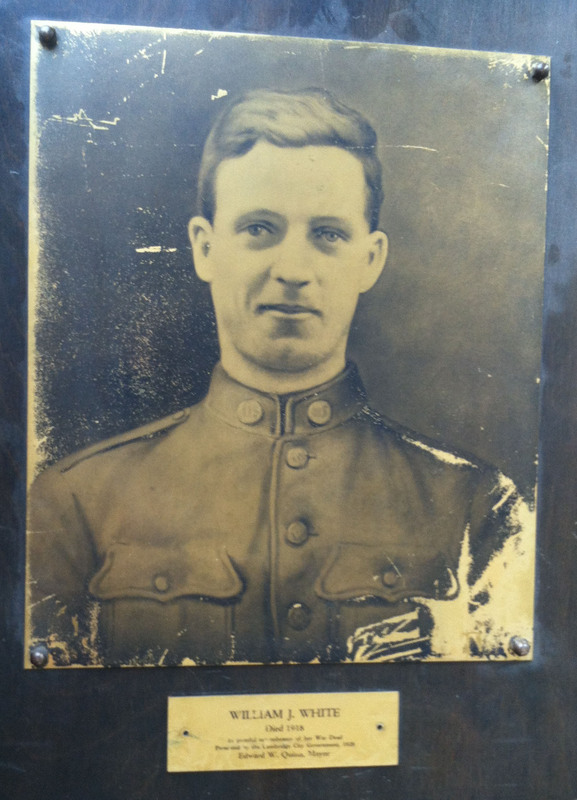 James W. Mahan, from Cambridge, died in World War I, 1918. Photograph by AP Wirephoto, Cambridge Public Library Archives and Special Collections, Boston Herald Photographs (008). 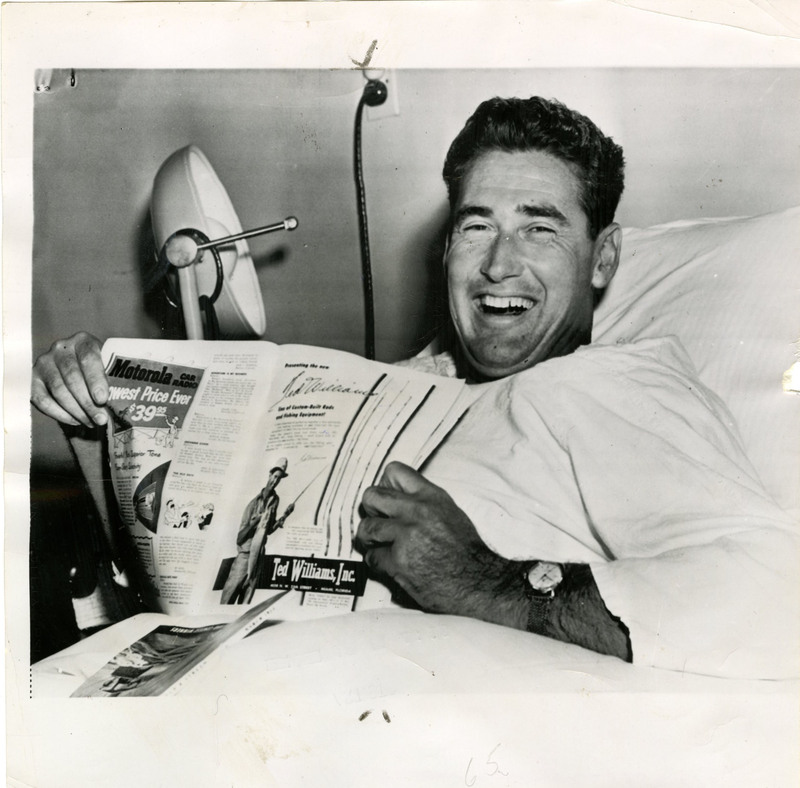 Smiling Ted Williams looks up from reading a fishing story at a Cambridge, Mass. hospital where he is recuperating from an operation to speed mending of his fractured left collarbone. Ted suffered the injury on the opening day of Boston Red Sox Spring Training. Photograph by Acme Newspictures, Inc., Cambridge Public Library Archives and Special Collections, Boston Herald Photographs (008). 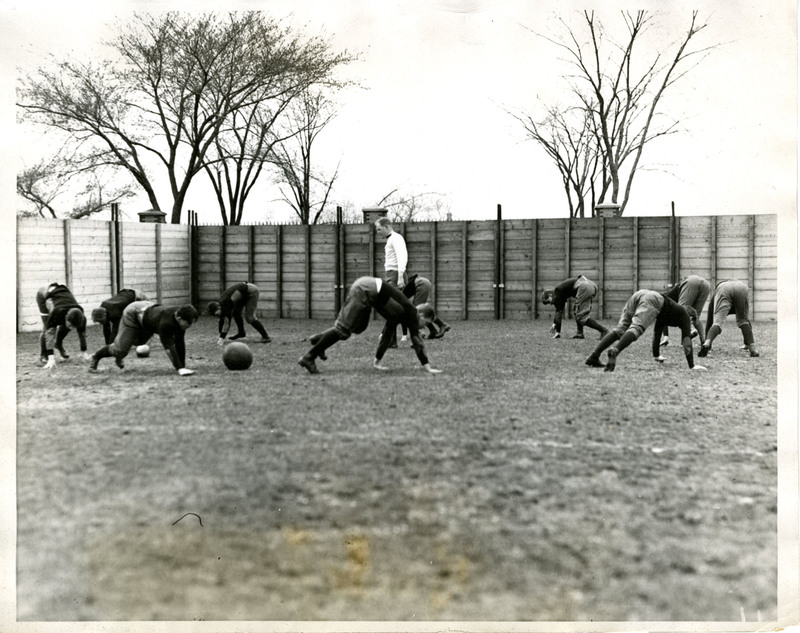 Assistant Coach Mal Greenough and ex-Captain of the Harvard football eleven pictured giving the squad a calisthenic lesson at Cambridge recently during the initial Spring training.